Maxillofacial surgery that employs jaw advancement is used sometimes to treat obstructive sleep apnea. How does jaw surgery correct the anatomy of a small or recessed jaw that contributes to sleep apnea? Learn about this procedure, the potential risks, and the expected recovery time after surgery. Jaw surgery for sleep apnea is a procedure that involves surgically moving the upper and/or lower jaws forward. The upper jaw is called the maxilla and the lower jaw is called the mandible. Therefore, the surgery may be called maxillomandibular advancement or bimaxillary advancement (if both jaws are moved forward). This procedure is most often used when the jaws are set back, such as is seen with either micrognathia or retrognathia. These problems are usually congenital, meaning that they are present either from birth or after growth has ended. Jaw advancement surgery can enlarge the space for breathing in the throat because the structures that surround the throat are effectively attached to the jaws. Advancing the jaws moves these structures forward, reducing their ability to produce blockage in the throat. Importantly, the tongue is moved forward and this can improve the anatomy that contributes to both snoring and sleep apnea. Maxillomandibular advancement surgery may be highly effective, but this procedure has more substantial risks and recovery compared to other surgical treatment options. Because it is more involved than other procedures, jaw advancement surgery is usually performed only in patients who have not responded to other treatments such as in those who are poorly tolerant to continuous positive airway pressure (CPAP) therapy. However, in some patients, especially younger people with jaw abnormalities, it can be a first-line surgical treatment. The long-lasting benefits make it an attractive option for those who wish to avoid using other treatments for life. 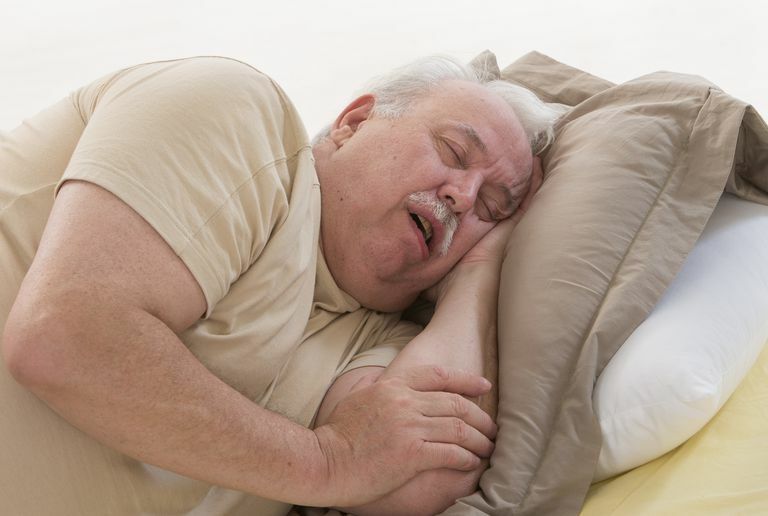 In patients with obstructive sleep apnea, this procedure is more complicated than in the typical patient with abnormal jaw positions without sleep apnea. It requires greater forward movement of the jaws, is technically more difficult for the surgeon, and has greater risks and a more difficult recovery. It is typically performed by a surgeon with specialized training in the procedure. This procedure typically requires from 2 to 3 months of recovery time, including initial dietary restrictions for 6 weeks. If you are considering jaw surgery as a treatment for your sleep apnea, you should speak with your sleep specialist about this option and seek a referral to a qualified surgeon in your area for an evaluation. Given the complexity of the procedure, it is recommended that you find a doctor who is skilled in the procedure. Riley RW, Powell NB, and Guilleminault C. "Obstructive sleep apnea syndrome: a review of 306 consecutively treated surgical patients." Otolaryngol Head Neck Surg. 1993 Feb;108(2):117-25. Waite PD, Wooten V, Lachner J, and Guyette RF. "Maxillomandibular advancement surgery in 23 patients with obstructive sleep apnea syndrome." J Oral Maxillofac Surg. 1989 Dec;47(12):1256-61; discussion 1262.